The field covered, survey no. 6 on the 'Assessment of continuing education actions carried out by public higher education institutions', includes all higher education institutions under the authority of the Ministry of National Education, Higher Education and Research, whose mission is to offer higher education courses. Universities and their components, National polytechnical institutes (INP) and technology universities constitute the 'Universities' category. The INALCO (National Institute for Oriental Languages and Civilisations) and the IEPs (Institutes of Political Studies) in Paris and the regions, plus the IAE (Institute of Business Administration) in Paris and the attached engineering schools, the Écoles Normales Supérieures (specialist universities) and some major institutions, schools and institutes outside universities, are also part of the field covered by the survey, under the category 'Engineering schools and other institutions'. The third category consists of the National Centre of Industrial Art and Design (CNAM) and its regional affiliated centres within the ARCNAM. Trainee: the concept of a trainee corresponds to one enrolment, rather than to one natural person. A natural person may be enrolled on more than one course and is counted separately for each course on which they are enrolled. Trainee hours: this unit of measurement corresponds to the number of trainees multiplied by the average duration of training programmes. There is a distinction between ‘teaching’ trainee hours, which correspond to students’ face-to-face contact time at an educational institution, and trainee hours that include time spent on practical placements. 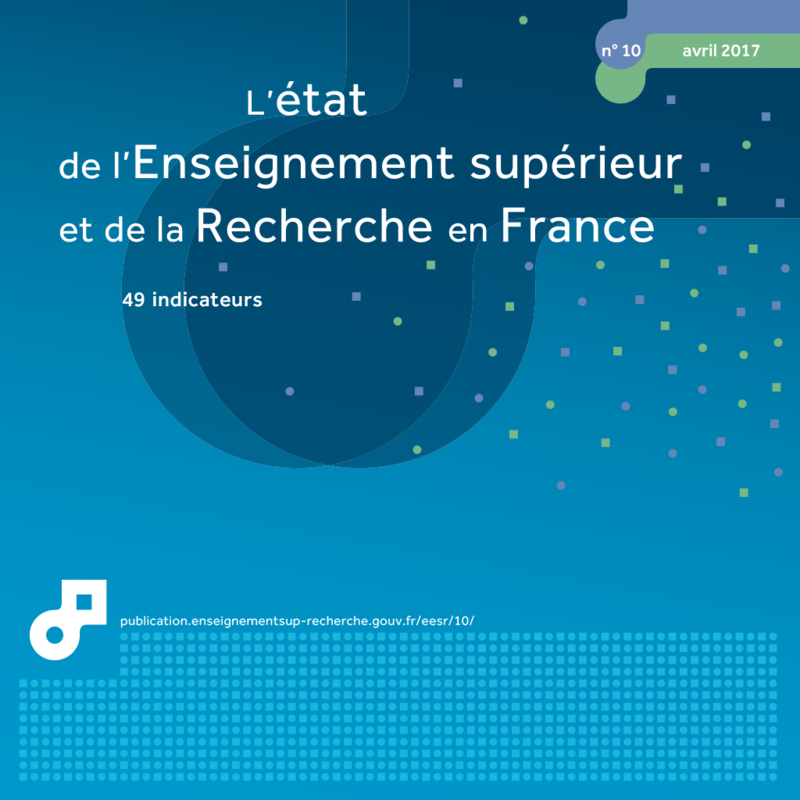 In 2014, continuing education programmes at higher education institutions achieved a turnover of 455 million euros, a rise of 6.5% compared to 2013, in current euros. It represents less than 2% of vocational education turnover in France. 478,000 trainees attended and 89,000 qualifications were awarded, including 57,000 national diplomas. In 2014, 478,000 trainees were on continuing education programmes in higher education, 0.3% less than in 2013. However, between 2013 and 2014, turnover increased by 6.5% in current euros. The volume of trainee hours increased, with 73 million teaching hours, including 58 million hours of one-to-one courses (table 24.01). Private funds, companies or individuals represented 70% of institutional resources in terms of vocational training, an increase of three points over 2013. In universities, the share of private funds reached 75%, while public funds fell to 18% (table 24.02). The turnover for training offered by universities increased by 4% compared with 2013. The number of enrolments increased by 1% and the number of trainee hours with a practical placement by 4%. At the National Centre of Industrial Art and Design (CNAM), the number of trainee hours stagnated and turnover increased by 13%. The average length of courses increased to reach by five hours to settle at 153 teaching hours across all institutions: 121 teaching hours and 32 practical placements. University technology institutes (IUT) received 9% of university continuing education trainees at level III, II and I (19,500 trainees). They represented 17% of students preparing for a national qualification and 42% of vocational training contracts signed between the universities and companies. In 2014, 366,600 trainees were enrolled in continuing education at university, of which 60,500 attended public lectures. Of the 306,000 students not enrolled on public lecture courses, the share of trainee employees enrolled through various systems (training plan, vocational training contract or individual training leave) gained three points to 44% (chart 24.03), while the share of fee-paying trainees enrolled on their own initiative (individuals excluding public lecture courses) lost one point (33%) and the number of jobseekers lost one point, to 14% of trainees. Jobseeking trainees without financial aid now represent 36% of jobseekers taking continuing education courses. In 2014, as in 2013, over half of trainees were preparing for a national diploma or qualification (33%) or a university degree (22%). Short qualifying courses, lasting on average 33 hours, attracted a quarter of students enrolled, while attendance at cultural lectures, lasting 27 hours on average, fell by two points, with 17% of enrolments (chart 24.05). The number of qualifications awarded through university continuing education (including those awarded by Validation of learning from experience (VAE) - see chapter 25) increased by 9% in 2014, driven by the rise in qualifications from universities or institutions. Of the 89,000 qualifications awarded, 64% were national diplomas (56,900). Of these, 50% were level II (general Bachelor degrees, vocational Bachelor degrees and Master's degrees) 34% were level I (engineering and Master's degrees), 10% were level IV and 6% level III, mainly University technology diplomas (DUT), where the number is nevertheless dropping (table 24.04). Continuing education national qualifications awarded held at 11% of all national qualifications awarded, across all types of course - initial or continuing. Extract from the chapter "24. continuing education programmes in higher education institutions".